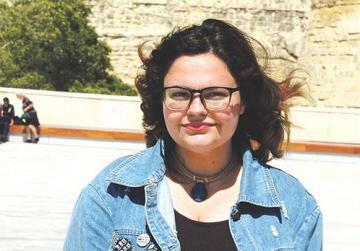 Two Maltese students have been awarded scholarships to attend schools affiliated to the United World College (UWC) in Victoria, Canada, and Wales, UK, respectively, as from August. Julia Sciberras McCormick from G.F. Abela Junior College will attend UWC Atlantic College in Wales on a scholarship partially-funded by the Davis-UWC Dare to Dream Programme. 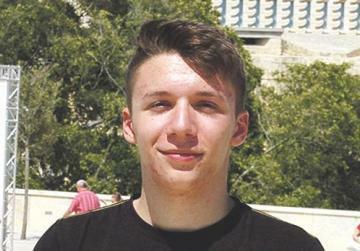 Meanwhile, Jacques Etienne Caruana from St Albert the Great College will attend Pearson College UWC in Victoria, Canada, on a needs-based scholarship. Both students will be enrolling on the two-year International Baccalaureate Diploma at the two schools, which use UWC educational pedagogy. UWC is different from other international schools because not only does it strive for academic excellence but, more importantly, it focuses on cultivating a value-based learning environment grounded on values that encourage the development of well-rounded alumni. UWC is a unique, holistic educational movement that began with the vision of Kurt Hahn, whose pioneering work sought to bring young people from differing backgrounds together through education. The students were selected for the award of the scholarships by the UWC Malta National Committee, whose main purpose is to raise awareness about the UWC movement in the local educational community and to select students to attend UWC colleges across the world. The committee is currently organising a UWC short course in Malta that will bring together 22 students from across the continents to explore issues of and the intersections between identity, society, the environment and movement. For further information e-mail info@mt.uwc.org. or visit the links below.